We are offering Mild Steel Safe to our client. We offer Safe place Safes thought our principal Eagle Forgings. • Clear View of numerical & alphabetic help commands on a Six digit 7-segment LED display. • Roll-on display for code strings above 6-digits. 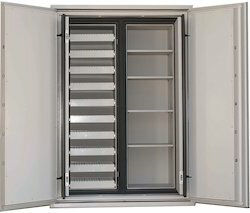 We provide high quality of Godrej Safes that are very strong and used to keep your belongings safe. The safes are sturdy, compact and fit in anywhere. 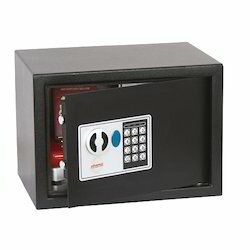 These safes have multi - bend body which is fully welded and is far superior to ordinary riveted joints. The Godrej Safes offers greater security against break-in attempts. All the rooms are facilated with electronic safe machine.